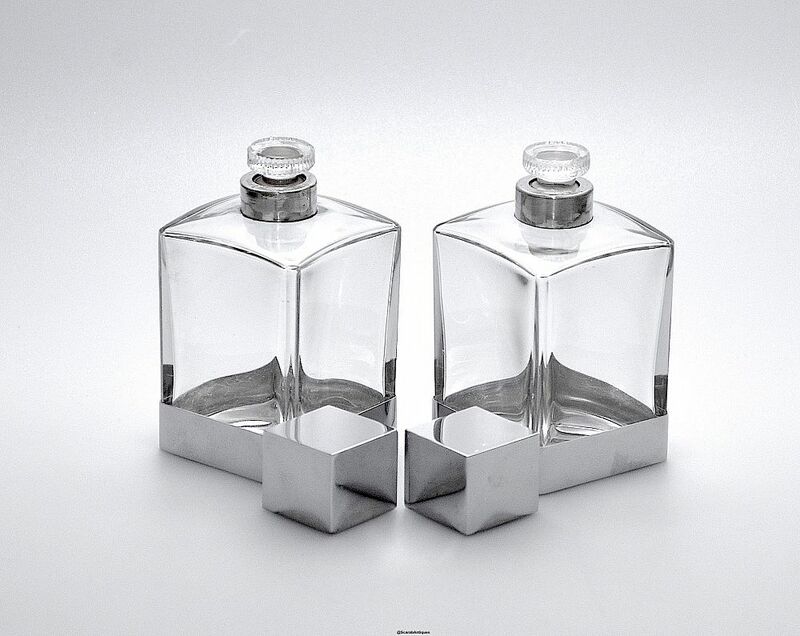 These are lovely cologne bottles by Baccarat. 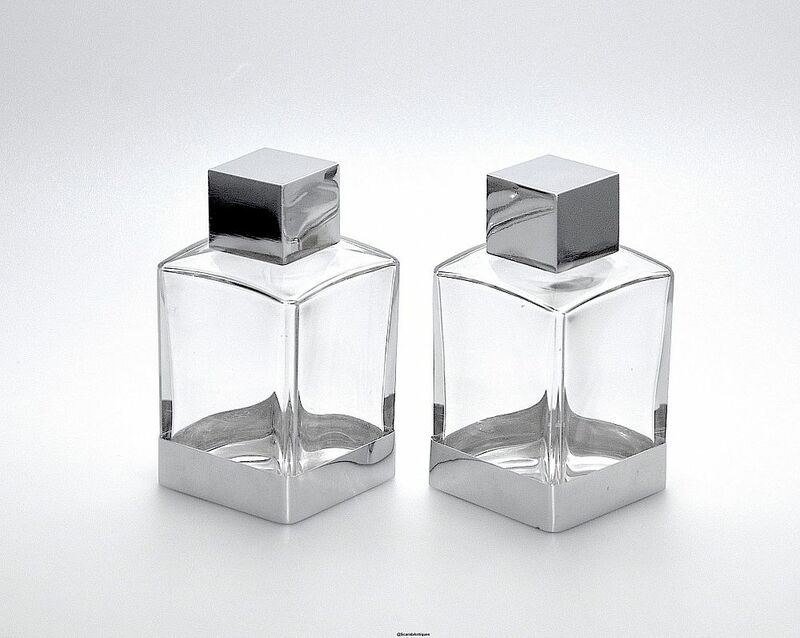 Each square bottle has a chrome edged base with square wood lined chrome tops. 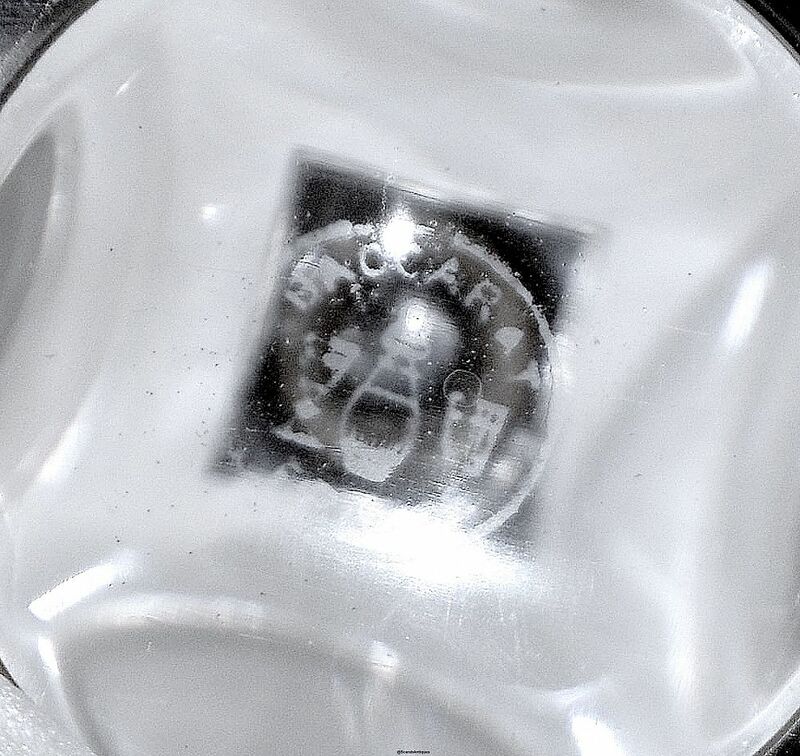 Each bottle has its original stopper and the base of each is signed "Baccarat France" with the decanter wine glass & beaker mark.